How should Nepal respond to a changing security context and handle pressures from greater powers like India and China? Since the end of the Cold War, the question regarding what strategies small states should adopt while navigating the international system has been widely discussed. Changes in the international order after dissolution of the Soviet Union led to formation of many independent states that are rising as new players in today’s international relations. Growing interdependence and the transformed geopolitical environment have minimized the threat of military invasions but broadened the context to maneuver foreign policy for gaining influence. In such setting, the small states have also gained new opportunities to exercise their strategic influence and act autonomously in the international ground. Their freedom of action is determined by geopolitical or geographical context, affiliation with international organizations, social cohesion and even domestic settings. Great powers play a huge role in the risk management of small states by providing economic assistance, political support and additional resource. However, great powers sometime also enforce their agenda on small states or even try to bring them under their ‘sphere of influence’. In such international scenario, how should Nepal as a small state respond to a changing security context and handle pressures from greater powers like India and China? Experts have offered various strategic options for small states to find adjustment amid shifting international security environment. Small states like Nepal are left with two broad survival choices—either focus on own defense status to maintain autonomy and stay neutral, or use some strategic cooperation approach like bandwagoning with big powers, making alliances against dominant powers or pursuing shelter and develop hedging strategies. Last couple of years have been turbulent period in Nepal’s relation with China and India. Some scholars have blamed Nepal for playing China card or India card to meet its interest. 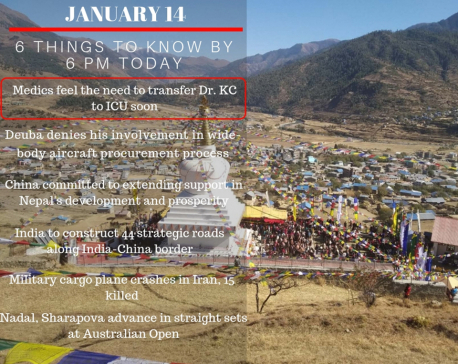 Economic blockade of 2015, various connectivity treaties with China, Doklam issue and other similar conditions put Nepal in complex geopolitical situation. Concerning such geopolitical setting of Nepal, hedging strategy seems to be the optimal tool to maintain moderate foreign policy without infuriating either of its neighbors. Hedging implies shifting the policy approaches in accordance with changing circumstances, merging of both balancing and bandwagoning tactics. We should also be clear that in case of Nepal, hedging approach helps maintain rational balance between getting too close and moving too far from both India and China. In other words, not supporting either side fearing that this could lead to complex security threats, just like Nepal did during 2017 China–India Doklam standoff. Regardless of structural realities on power and competence there still remains ground for small state to pull its individual types of relative power for gaining some foreign policy independence. The case of Oman is best example as its security policy is alliance based. However, it has managed to ally with both US and Saudi Arabia and also with Tehran. Within its alliance of Gulf Cooperation Council (GCC), Oman has maintained incredible freedom of sovereign action to follow its own strategic interests, which sometimes annoys its alliance partners but till now it has managed sound balance. Understanding hedging policy of Oman is the key to explaining its strategic behavior of seeking the middle ground. If Nepal could manage such degree of hedging it will minimize threats in relation with both northern and southern neighbor as well and enabling Nepal to independently peruse its foreign policy choices without confronting either of them. The end goal of hedging is to gain benefit by the means of preventing security threat and developing diplomatically pleasant and economically harmonizing relations. In practical terms, this strategy helps small states to change their actions or combine different approaches in order to better safeguard their national interests and guarantee that balance of power is maintained. But why should Nepal pursue the policy of hedging? One reason is uncertainty in international politics. According to Kuik Cheng-Chwee, Associate Professor at the Strategic Studies and International Relations Program at the National University of Malaysia: “due to ambiguity of the system, small states are likely to hedge in order to avoid taking sides or speculating about the future of Great Power relations”. During uncertain international order, small states usually remain helpless to predict intentions and the moves of great powers. The strategy of hedging allows small states to practice soft balancing approach. In his article “Southeast Asia and China: Balancing or Bandwagoning?” Denny Roy, Senior Fellow at the East-West Center, has mentioned that a country might involve into military cooperation with the competitive rising power to increase assurances toward and cooperation (particularly economic) with the target state. Think of this in Nepal’s context. The 10-day-long joint military exercise ‘Sagarmatha Friendship 2017’ was one of the hedging strategies Nepal had adopted. Some inevitable shift in modern international relations such as homecoming of nationalism in Europe and rise of non-state actors might change future context of interrelations between great powers and small states and generate new options for strategic choices. But for now hedging strategy is the optimal self-help approach to reap benefit from great powers. Particularly for Nepal, bandwagoning or pure balancing is not always economically sensible and can even invite unwanted risks. Therefore, taking middle position is strategically more suitable option to maintain balanced diplomatic engagement and coherent internal strategies in order to cope with ambiguous geopolitical order between the two giant neighbors.